Dental fillings have improved the lives of many people since they became a reality. The ability to stop decay and protect the fragile underlying dental material must have seemed like a godsend to people whose only option to stop tooth decay was an extraction. What Kind of Fillings are in Your Mouth? Amalgam fillings were widely used for many years due to their durability and ease of use. 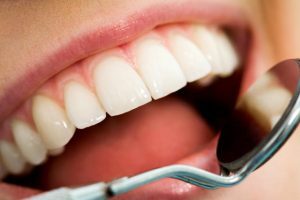 Though they are still considered safe and are in use by many dentists, since the development of tooth-colored composite resins for dental fillings, many patients have requested and begun to expect them as the filling of choice at the dentist’s office. It’s understandable. Why wouldn’t you want an invisible filling? Yes, we love the way they keep our teeth from decaying, but we don’t love how those amalgam fillings look. Many patients in the US have chosen to have old amalgam fillings removed and replaced with the tooth-colored sort. If you ever feel shy about opening your mouth wide to sing or laugh out loud, it might have occurred to you to do the same. One limitation that composite resin fillings have is that they tend to shrink over time. This is usually handled with another composite resin filling. However, in some situations, you may benefit more from getting a custom created gold or porcelain inlay to complete your dental work. An inlay is a type of dental work that can be used to fill a cavity that falls within the crown of the tooth. The use of inlays is indicated when the filling required would be so large as to compromise the structural integrity of the tooth. What is Involved in Getting a Gold or Porcelain Inlay? Whether you need a traditional filling or can be better treated with an inlay, a consultation with the dentist is where you will begin. If Dr. Ballard determines that you will benefit from an inlay rather than a filling, your tooth will be prepared and a mold will be taken so your custom-made inlay can be fabricated from the material of your choice. A temporary inlay will be fitted, and you will come back when your permanent inlay is ready to be bonded in place. After that, your inlay requires the same basic dental care that you give to all of your teeth, brushing and flossing, and keeping regular dental appointments. Why wait? Schedule your consultation with Buckhead Dental Partners today. Taking care of your smile is as easy as calling (404) 261-0610 or schedule online. We look forward to hearing from you.